Two minutes, to be exact. In this agonizingly short timeframe, a family can win or lose its fight to escape a home fire and the lethal smoke created by that fire. One device can even the odds for a family: tested, working smoke alarms. Our golden age community members understand this; they know there’s never any time to waste so these seniors didn’t. Partnering with the American Red Cross, they took matters into their own hands. They knocked on doors, hauled ladders, drilled into walls, mounted alarms, replaced dead batteries, shared fire prevention tips, and documented their results in a smoke alarm installation campaign. In just four-days they saw 20% of their neighborhood homes equipped with brand new 10-year-battery smoke alarms. The group visited more than 100 homes installing 225 alarms. They were the disaster volunteers of Mobile County Club in Rancho Cordova who carried out the project with the support of their management and Home Owners Association. 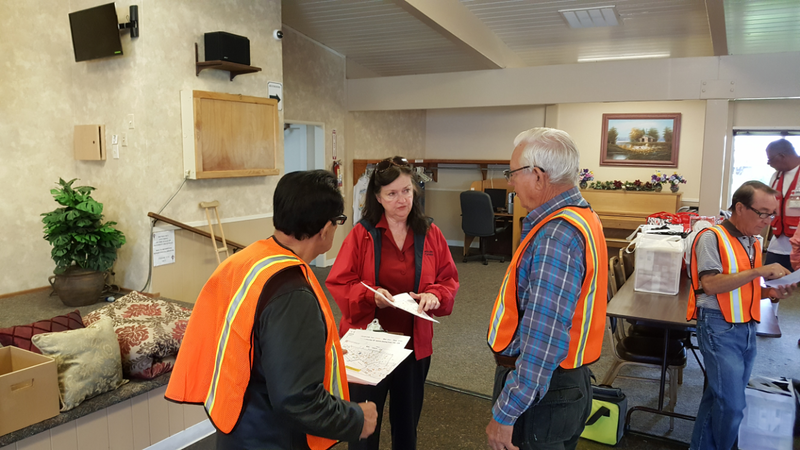 Equally important, residents were given safety literature emphasizing the all-imperative escape plan, ensuring that a two-minute evacuation strategy would not fail due to blocked or inaccessible exits or pathways to safety unknown to anyone in the household. 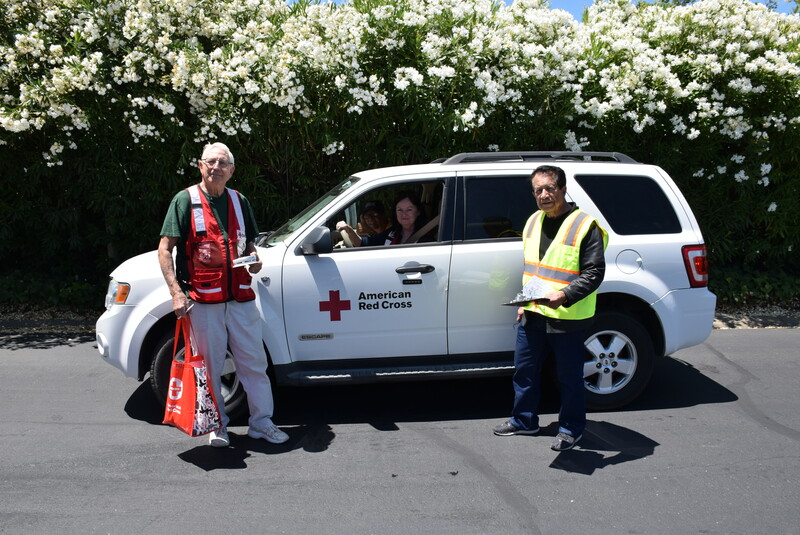 Spearheading the charge was Antonio Martinez, HOA Treasurer and the tireless promoter of disaster preparedness for his community of mobile homes. Tony initiated this project when he called the Red Cross inquiring for free vests. Joining Tony were residents Bob Schroeder, Lyle Fellows, Bill Johnston, Darrill Sturgeon, Jorge (Chiqui) Nievies, Linda Martinez, Deborah Fieldson, and Irene Ferraro. The group proved itself not only handy but tireless. 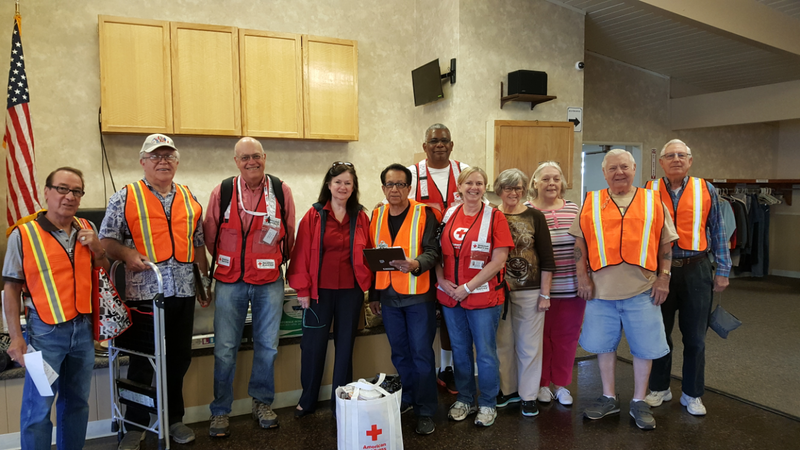 Keeping up with them (or trying to) were Veteran Red Cross volunteer Marcus Heningburg who oversaw Operations along with David Hansen, Todd and Terry Sanford, Isadora Marks, Reena Singh, and Patricia Davis, all of the American Red Cross. Start to finish, the project was encouraged by Property Manager Leslie Gomez and Office Assistant Kelly Boughton; their support and hospitality contributed significantly to the event’s success. The alarms and batteries were provided free of charge as benefits of the Red Cross Home Fire Campaign, a nationwide movement to cut by 25% and over a five-year period deaths from home fires. Coast-to-coast, the fire service has supported the campaign and did so here. On the first day, a ladder company from Sacramento Metropolitan Fire walked with volunteers and encouraged neighbors to join the movement at Mobile Country Club. …because Tony and his friends aren’t done. They’ve got more of that Park to cover. And they will. Given several factors, the Red Cross encourages all mobile home parks and their managements to consider a Home Fire Campaign for smoke alarm installation and community disaster education. For more information or to schedule installations visit our website: redcross.org/GoldCountry and click on Home Fire Campaign.